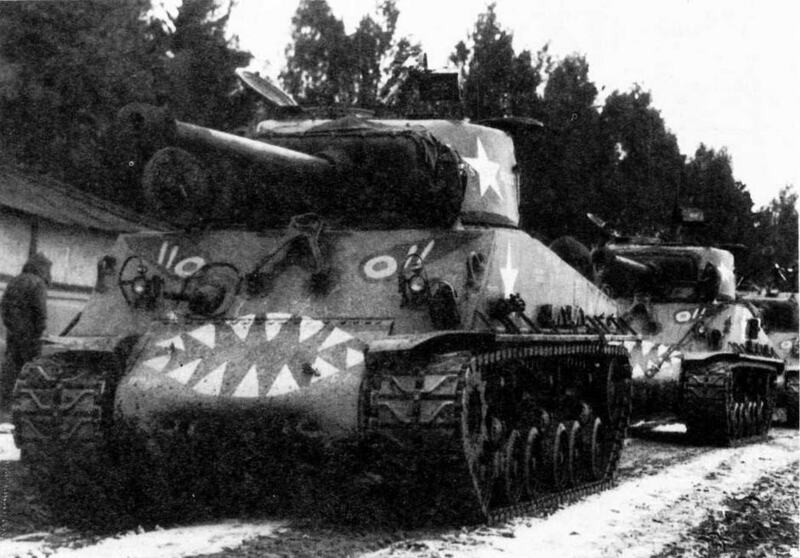 C Company of the 89th Tank Battalion painted the tanks with a "devil" face to scare enemy troops. Named "Rice's Red Devils" after the commanding officer Captain Clifford Rice. 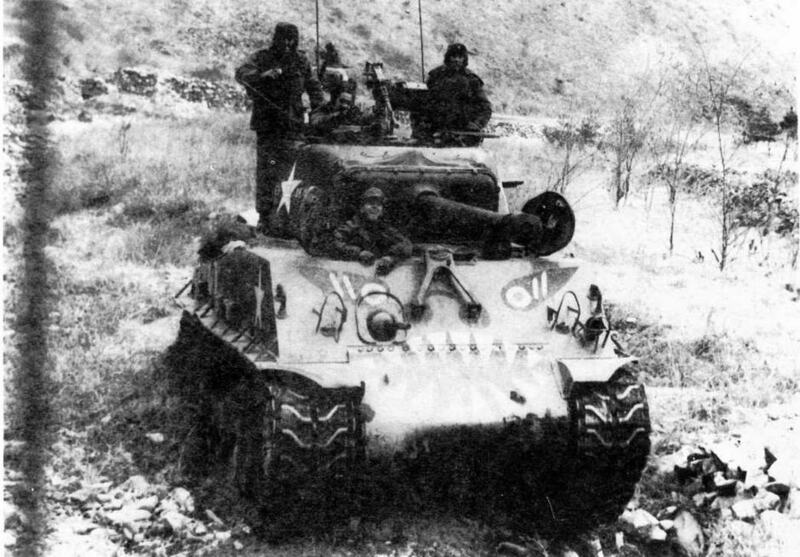 M4A3E8 Shermans of the 89th Tank Battalion advancing north through Seoul. 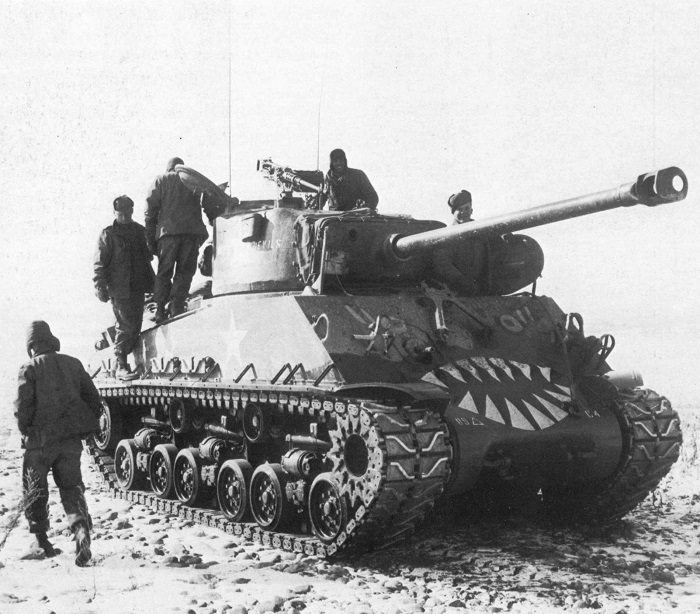 M4A3E8 Sherman, bumper # C4 of C CO, 89th TK BN. 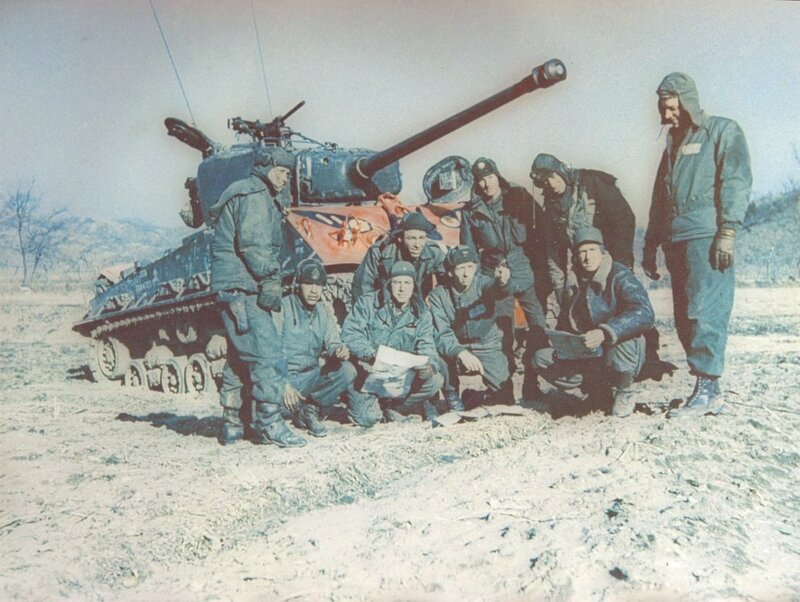 Uchonni area of Korea, Mar 1951.